Auchtoon! » Because All of Our Other Problems Have Been Already Resolved? Because All of Our Other Problems Have Been Already Resolved? It wasn’t a big news story. Or even an important one. 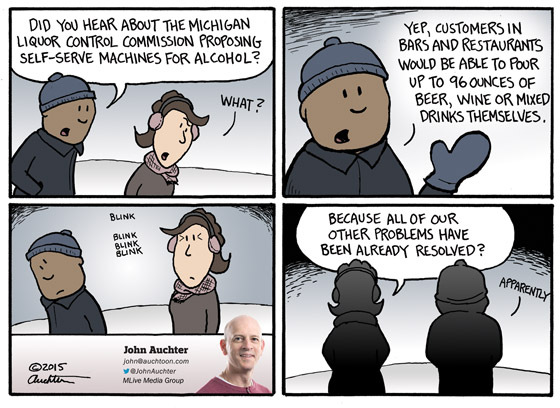 But this effort to approve self-serve machines for alcohol — it was definitely one that made me stop and think, “seriously? This is a solution for a pressing need?” It needed to be disparaged….